Meet a few members of my plant gang. It is time for another UJB post and this month is about showing a group of your favourite plants. Since I own over 70 plants, I couldn’t bring them all together to take a photo but a few of my favorites came out to play. The face planter was a DIY I made 2 years ago. The kit came with a face mold, concrete and a concrete tint to give it that terra-cotta look. Unfortunately the manufacturers, Magnetic Poetry, have discontinued the product. The cactus-looking plant to the right of the face planter is actually not a cactus at all but a member of the grape family. I got it not too long ago thinking it was a cactus because it was being sold among other succulents. Did I learn something new! Its is called Cissus quadrangularis, aka Veldt Grape or Devil’s backbone. If you look closely it has grape-looking leaves growing at the joints. Since I haven’t had it for long, I can’t say much about its likes and dislikes but it is apparently very easy to care for which is great. As if its intriguing look was not enough to make you want to have it, it also has medicinal properties such as promoting the healing of fractures and muscle tissue as well as increasing muscle mass which has made it very popular among body builders! Have a great rest of the week and weekend. Haha! Just uploaded a massive profile pic! Feel free to delete 🙂 Any tips for the fiddle leaf? I’m scared they’re too temperamental. Profile pic deleted:) I don’t know how my page does that but you are the second person it’s happened to. Regarding the fiddle leaf fig, they are actually not temperamental at all in my opinion. They love bright indirect sun so if you can give them that they are happy. My apartment isn’t sunny at all and it’s still thriving so give it a try. They will be a nice addition to your humongous rubber plant and monstera! The fiddle leaf fig only loses its leaves if something is wrong just like most plants. That is old bottom leaves dying, too much watering or kept below its preferred temperatures. For the most part, they just keep growing new leaves from spring to fall. The bottom leaves that fall off in my experience don’t grow back but you get more leaves at the top :). I don’t find they are temperamental as long as you find them a good spot and leave them alone. If you have a bright spot in the house Then you should totally get one. You won’t regret it. I feel a blogpost about fiddle leaf figs coming on soon. Over 70 plants! I was thinking I should pare down so I could give more attention to my gang but I think I might add a few more…! That’s a real gang. I already saw a lot of gangs on some blogs: some simple, some delicate.. Yours is rich and it has personality. I like it! Cute and quirky! 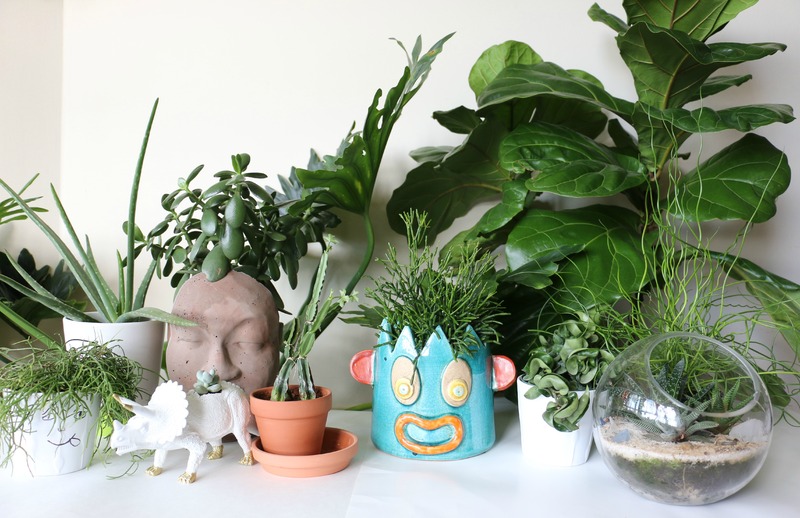 Love your choice of textures of both plants and pots and that blue head is especially cool! You made such a nice selection, Barbara! Lovely to read that you actually learn new things about your plants too. 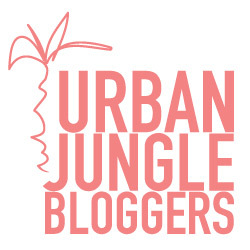 The grape Veldt is super nice, and so are the others 🙂 Thank you for sharing them with us Urban Jungle Bloggers! Great plant gang, Barbara! I love how you added various shapes, colours and textures to make it really stand out!! Oh, great #plantgang you have there! It seems to me that all people have a animal with succulents at home, except me. The faces pots are awesome, by the way. Thank you Leah. 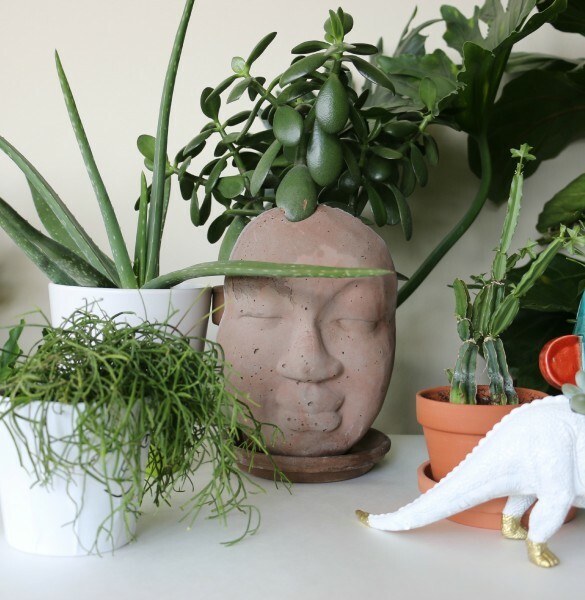 You can check my DIY Dino planter post to get you started.